Too many children in New York City died or suffered personal injury because a speeding car hit them on their way to or from their school. To prevent these types of accidents and as part of the Vision Zero initiative, the NYC Department of Transportation started to install speed-cameras in school zones. 19 cameras have been installed so far in the city. 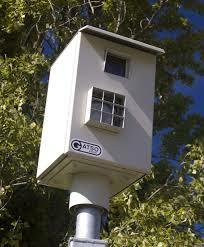 Last September the speed-cameras indicated that on average 3,539 drivers in a day drove at least 10 mph over the limit. As word spread about the cameras, drivers became more careful and in December he average number of drivers speeding at least 10 mph over the speed limit went down to 1461.